The Yellow Boats allow guests to take in unique sparkling vistas and marine life, from a brand new perspective. The Yellow Boats have come up with a unique and very special way for couples to celebrate the month of love in Dubai. The seven-year-old institution of water sightseeing tours will run exclusive 60-minute charter trips throughout February, which are sprinkled with romance, at a discounted package price. The Yellow Boats’ Dubai Romance Tours can be booked exclusively for two, and include a 60-minute trip departing from Dubai Marina Walk, complete with private tour guide, a complimentary cocktail for both, plus a rose for the lady. Taking couples on a magical tour of the Arabian Gulf, including the enchanting Palm Jumeirah islands and Royal Palaces and world-famous architecture including Burj Al Arab. The Yellow Boats allow guests to take in unique sparkling vistas and marine life, from a brand new perspective. The Yellow Boats tours are led by carefully-selected and personality-packed ‘skipper’ tour guides, who pride themselves on their knowledge of, and passion for, the UAE. Couples booking The Yellow Boats’ Dubai Romance Tours will therefore have their very own skipper throughout their tailored trip, to offer personal insight and answer questions on Dubai’s fascinating history and future plans, while also allowing them to experience some unforgettable Valentine’s moments and beautiful photo opportunities alone. 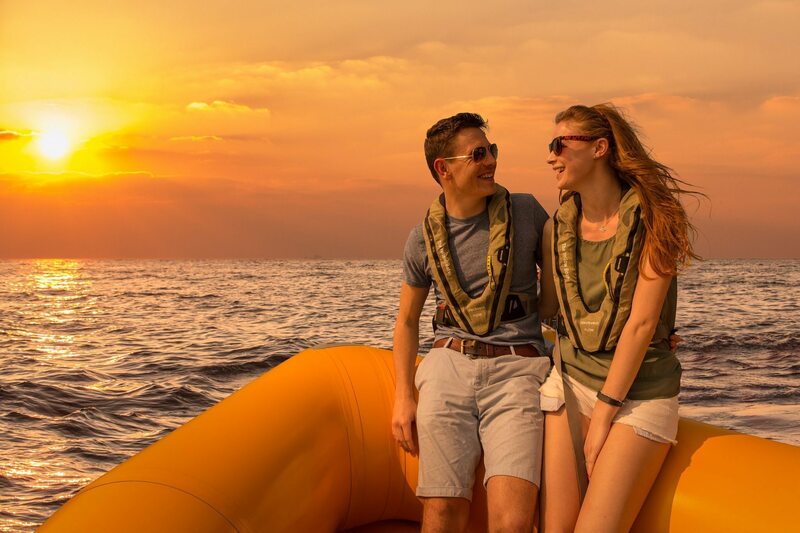 Available seven days a week at various timings, including sunset, The Yellow Boats Dubai Romance Tours cost AED 1,200 (usually AED 1,500) on an exclusive basis, and must be booked in advance to ensure availability. The Yellow Boats’ regular shared trips start from AED 200 per person, and are running as normal throughout February, alongside the Romance Tours. Advance booking is also essential to ensure availability.